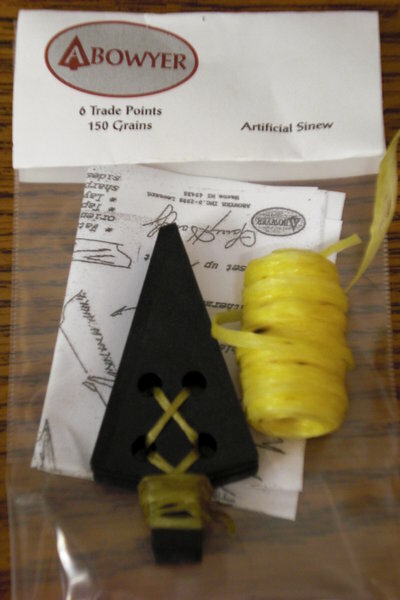 Packaged with 6 Trade Points and 50' of Artificial Sinew. 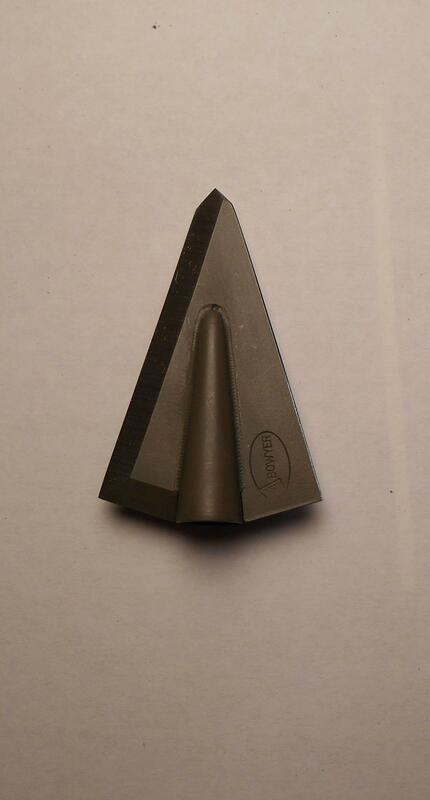 Ground with a single beveled edge that makes sharpening easy. Mounting with Sinew lacing and epoxy will deliver unexpected bone-splitting performance. Great traditional/primitive looks and top performance from today's technology and materials. easy. Mounting with Sinew lacing and epoxy will deliver unexpected bone-splitting performance. These are only available in left bevel!